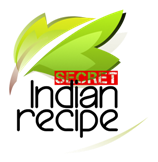 Shibani Satapathy's Secret Indian Recipe ! 1- Blend together onions, ginger, garlic, mint, coriander, chillies, lemon rind and lemon juice. Add water to make a smooth paste. 2- Marinate the chicken with curd turmeric salt red chilli powder and 2 tbsp of the mint paste. Rest for one-hour . 3- In a kadai, heat oil. Once hot, add the remaining mint paste and fry until oil seperates. 4- Add peices of marinated chicken into the fried paste. Add the boiled potatoes. 5-Add water as required and simmer for 10-15 minutes. 6- Hari bhari minty chicken is ready to serve with rice or roti. दिवाली पर बनाये लाजवाब मावा कचोरी | maw . . .
Mat gujiya festival special .